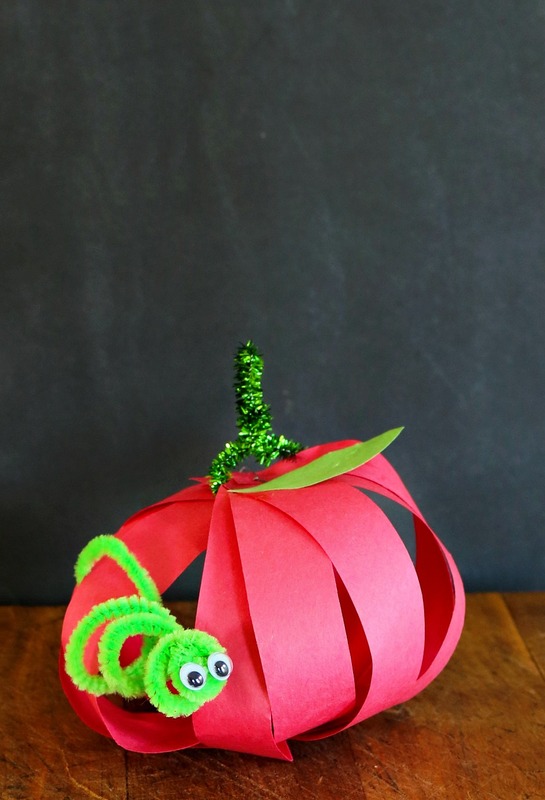 Fall is in the air and what a great time to learn through play with these awesome apple kids crafts! Here are some awesome tutorials for you to check out and do with the kiddos. These work well with any apple theme and can be done at home, school or at a daycare. You can start the day out learning all about the letter A, have yourself a healthy apple kids snack with this awesome Smiling Teeth Snack that is sure to get a smile out of your little one, then finish off the afternoon making some of these amazing apple kids crafts! Heading out to an apple orchard is a great way to learn all about apples. Here are some amazing apple recipes that your kids can help you make. Remember they are more likely to eat it if they help make it! 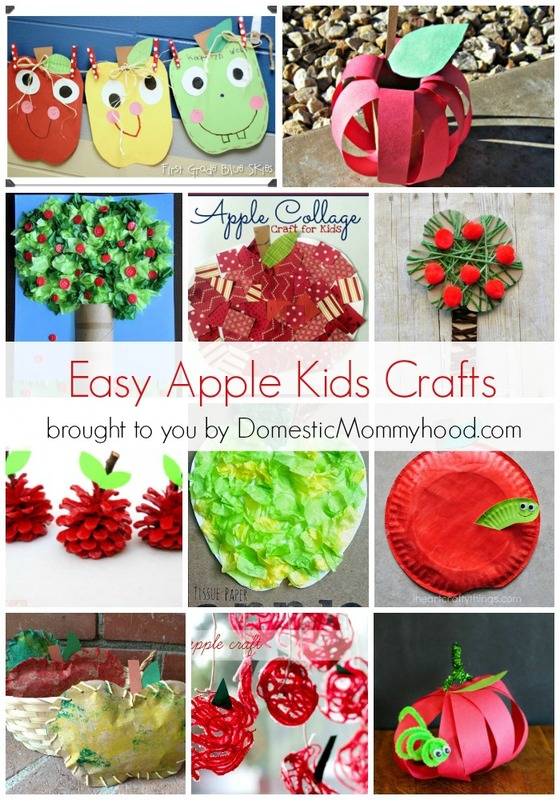 Now onto these Awesome Apple Kids Crafts! Bubble Wrap Painting by Somewhat Simple is a great way to paint without a paintbrush!! The kids will love painting and popping the bubble wrap while working on their masterpiece. 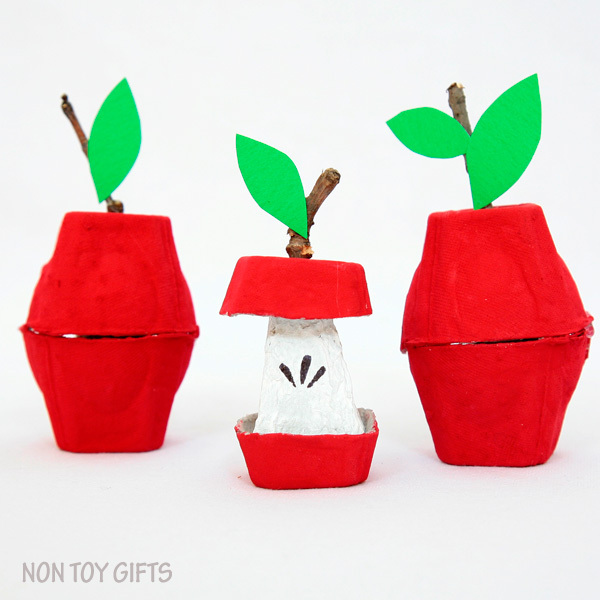 These Stuffed Paper Apples from Buggy and Buddy are perfect for some of the older kids. Sewing is a great way to work on small motor skills and actually completing a sewing project is great for their self esteem. Kids just love to tare things apart and it’s actually good for their fine motor development. 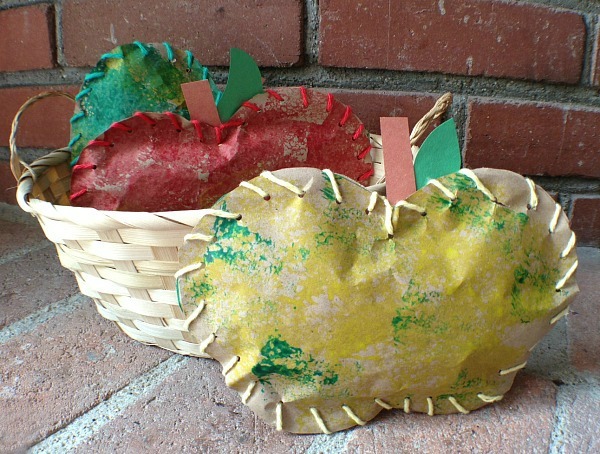 Blissful Roots has an apple kids crafts that is perfect for taring. This one is perfect from age 2 on up. 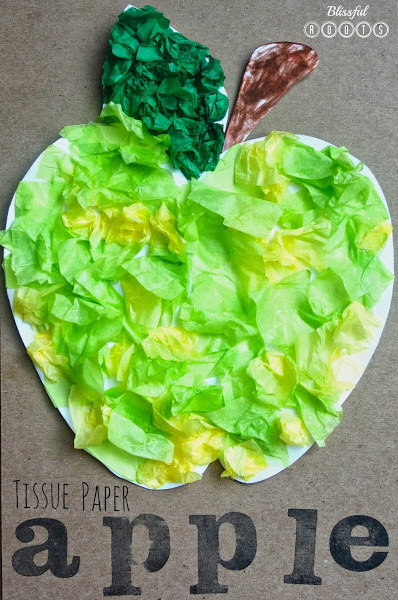 Their tissue paper apple art would look awesome in green, red or yellow! 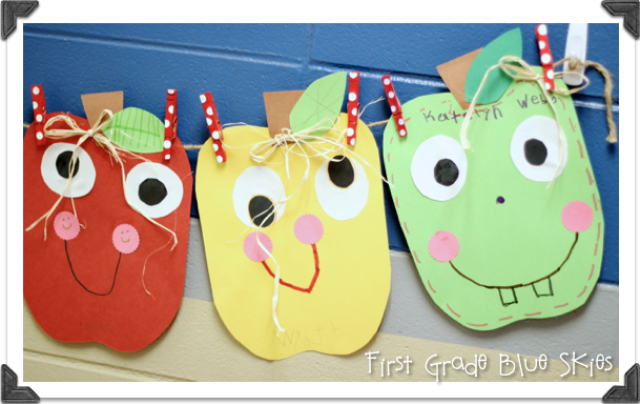 Tots Family has a super cute Apple Kids Craft that is perfect for a school age child! All of the products are easy to find and would make a very cute place card setting that your child could make! This fantastic Egg Carton Apple Kids Craft from Non Toy Gifts is a super cute and easy way to reduce, reuse and recycle! We always have egg cartons laying around just looking for something to do! I love the way this Apple Tree Craft from I heart Crafty Things would look good hanging right in your living room!! I can just picture it with a cute little black frame. We always have spares hanging around to use for crafts that we pick up at a second hand shop. This would make Cute Apple Garland at home as well as in a classroom! It’s a great way to get the kids to work together to make up a cute group project!! Which color would you choose to make? First Grade Blue Skies has a super cute classroom. We are a big fan of pine cone crafts around here. 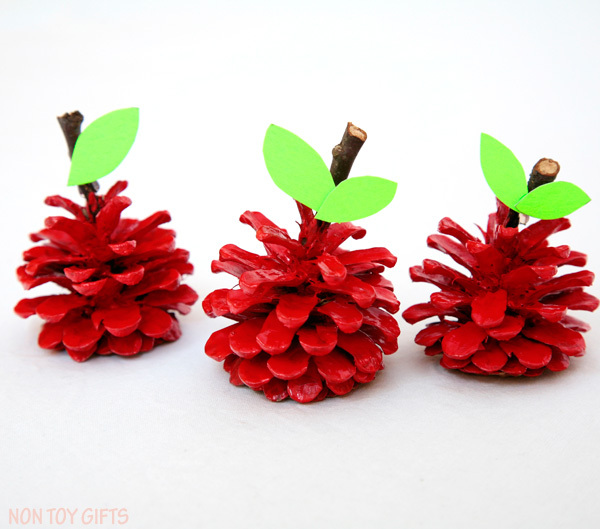 I immediately fell in love with this bright red Pine Cone Apple Craft over at Non Toy Gifts! I’m sure any kind of paint would work well with these! Feel like a little country art today?? 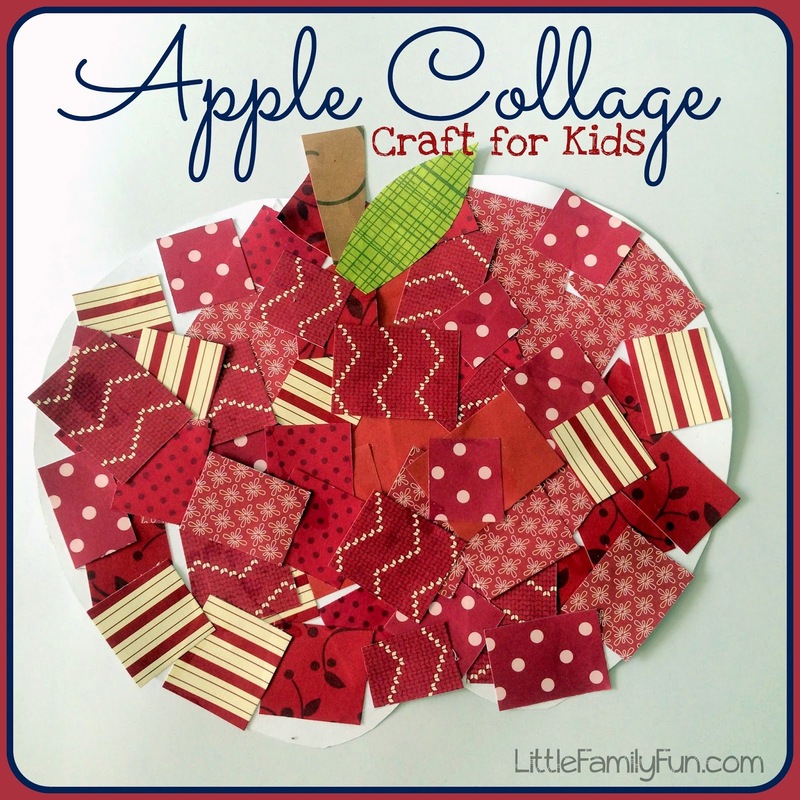 I fell in love with this cute Apple Collage by Little Family Fun using Red Design Scrapbook Paper. You can either have the squares pre-cut for them or let them tare them apart! Our kids just love to rip paper and it’s another great fine motor skill activity. 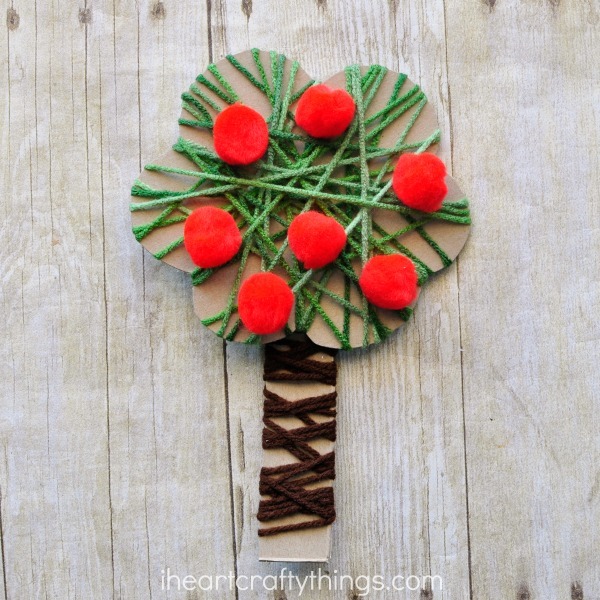 Grab some yarn, red pom poms, tacky glue and cardboard and you will be well on your way to making this Yarn Wrapped Apple Tree Craft by I Heart Crafty Things! So fun and once again great for find motor skills as well. 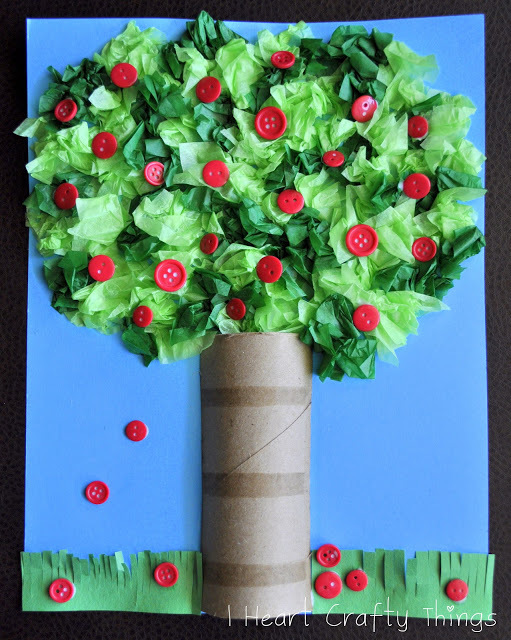 I think this would be a good kids craft for the book Ten Apples Up on Top by Dr. Seuss. 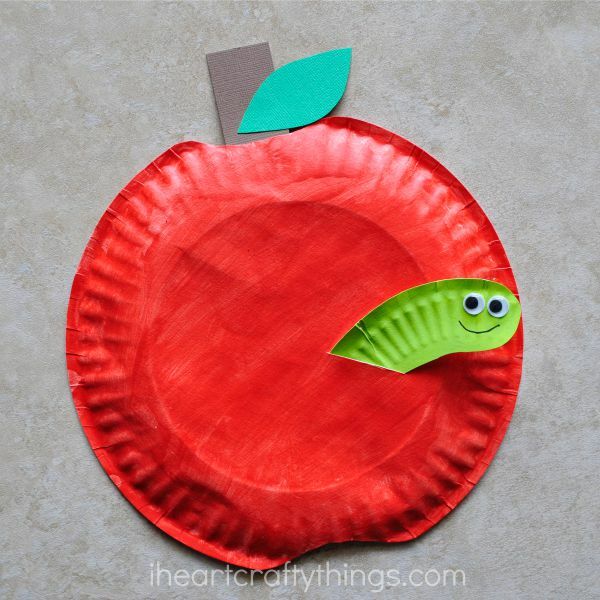 With just a few paper plates and some supplies your child can be rocking this super cute Paper Plate Apple Craft from I heart Crafty Things! Cute and easy seems to be the theme here today! As you all know I love everything glitter!! 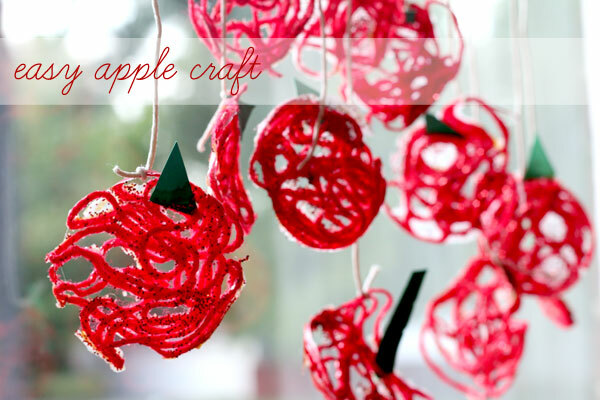 This sweet little Apple Yarn Craft from Hands on As We Grow will be sparkling brightly on a sunny fall day. Let’s pull out some glitter!! Empty toilet paper tubes hanging around?? Well, here is a cute way to use them up! Grab some red construction paper and whip fun and easy diy Apple Toilet Paper Roll Craft by Sassy Deals. 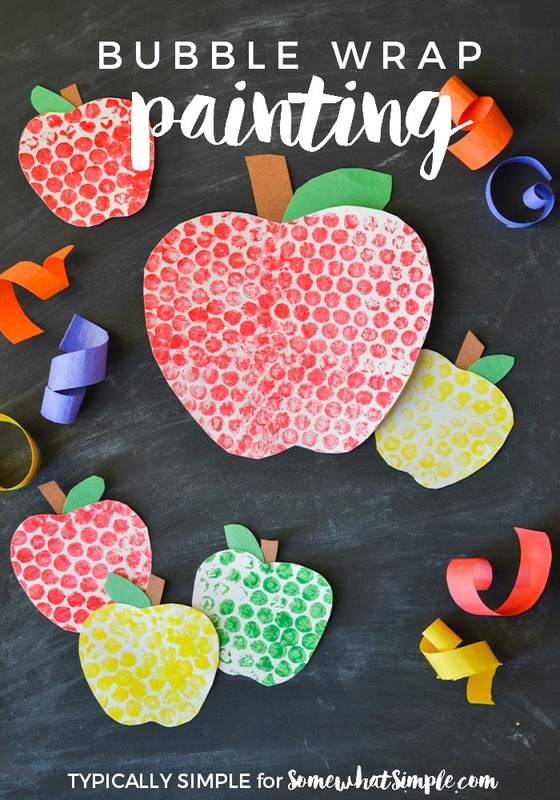 What is your favorite Apple Kids Craft that we have featured here today? I hope you and your little ones have a great time making some of these!